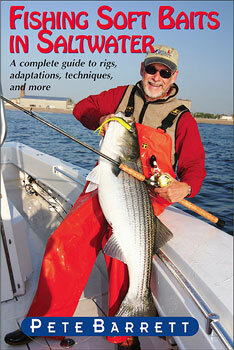 Pete Barrett’s most recent book is TROLLINGFOR STRIPED BASS AND BLUEFISH. A highly regarded expert on saltwater fishing and operator of the charter boat “Linda B” for 25 years, he has written over 900 feature stories for national and regional fishing publications, and recently retired as executive editor of The Fisherman magazine. His other books include Saltwater Fishing Guide, Fishing For Sharks and Fishing for Tuna and Marlin.